Parker’s PGP130 fixed displacement gear pumps offer high performance and high endurance due to its cast iron construction. 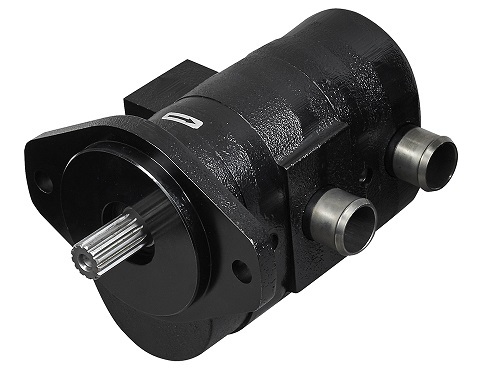 Parker’s PGP130 fixed displacement gear pumps offer high performance and high endurance due to its cast iron construction, making it an ideal selection for the construction equipment market in particular mini-construction equipment. Available with industry standard output shafts, ports and mounts, these pumps deliver up to 25 GPM at 275 bar continuous pressure and up to 27.5 GPM at 210 bar continuous pressure. Cast iron construction and compact design allow PGP130 series to increase capabilities in limited spaces where less rigid aluminum pumps are often used.It is available as a standard pump and tandem pump.